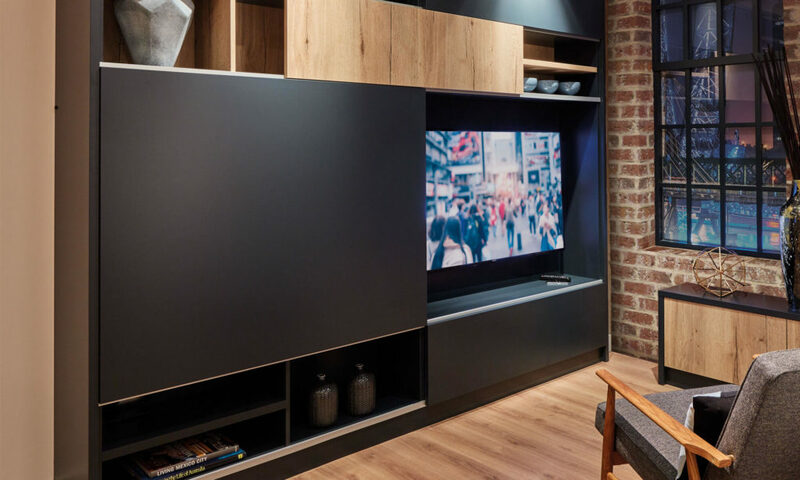 This bespoke TV unit and accompanying cabinet add a touch of contemporary flair to any room. 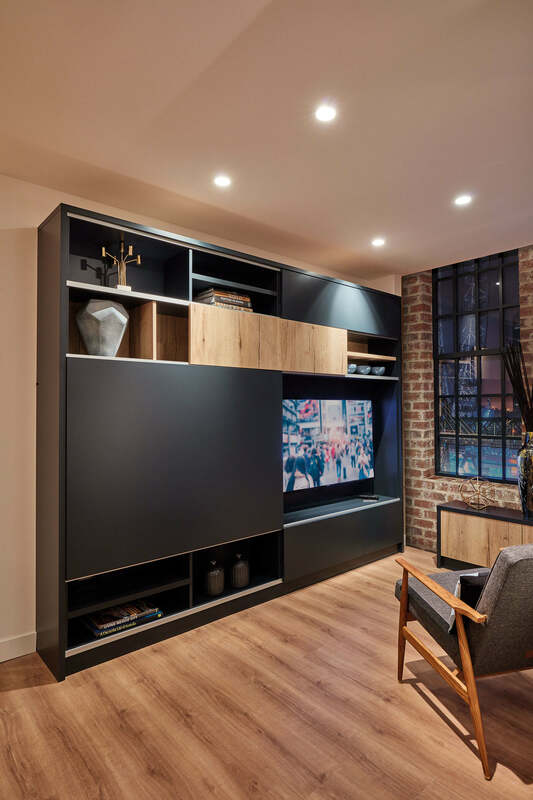 Made-to-measure, this furniture perfectly accommodates both the television and all accompanying media players, both of which can be discreetly hidden by the sliding doors. 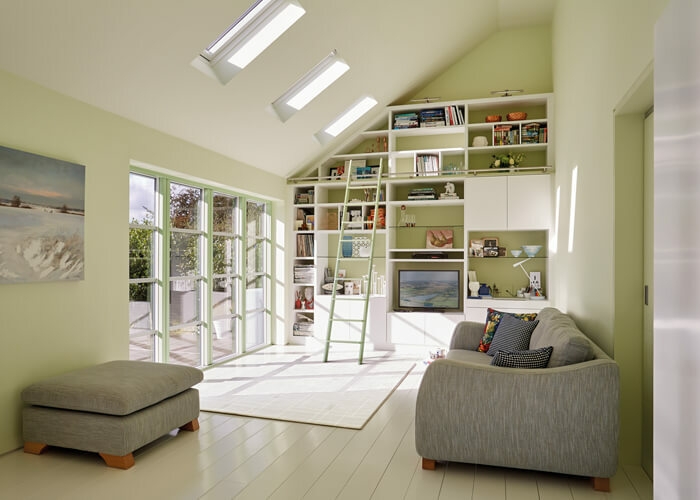 Storage for decorative items and media collections has been incorporated with the client in mind, ensuring there’s enough room for everything they wish to display. 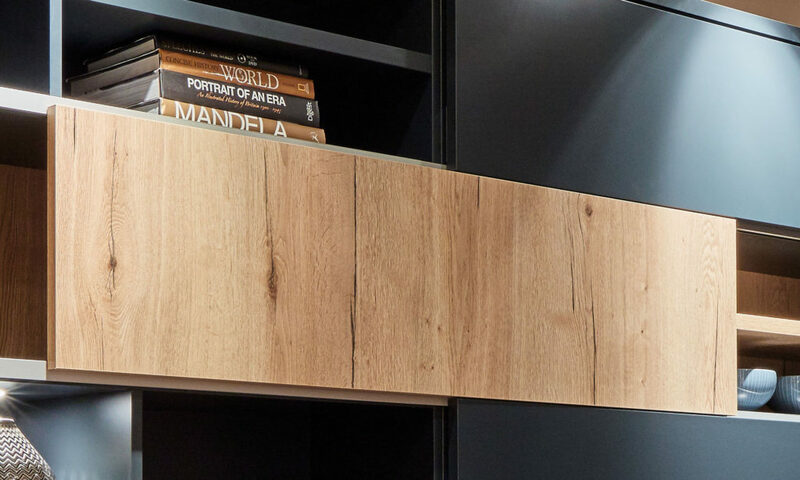 One section of the furniture features a contrasting back panel and sliding door, finished in rustic oak. 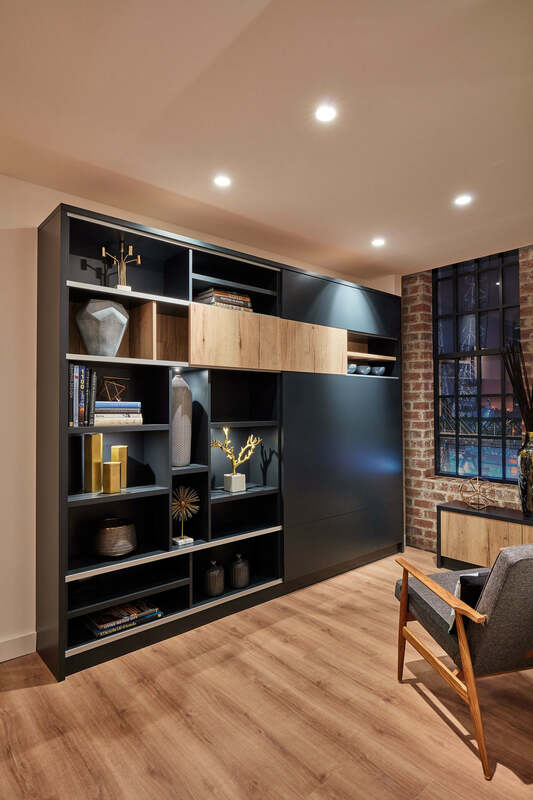 This feature not only adds an extra contemporary twist to the design, but connects the shelving unit with the accompanying oak-fronted cabinet. 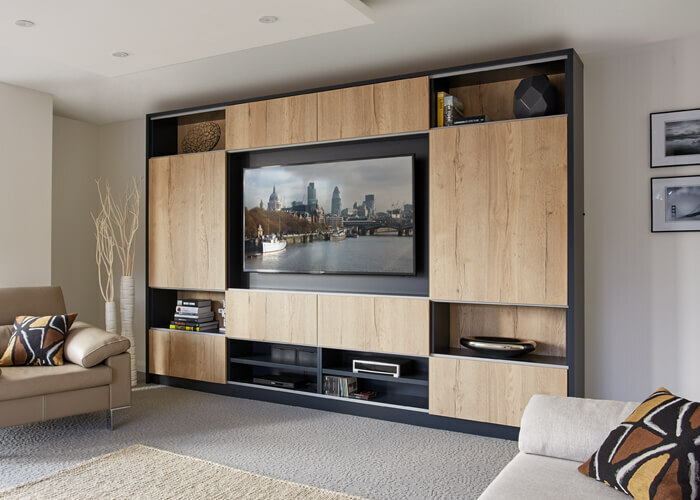 The smooth sliding action of our exclusive Levigo door system makes it easy to alternately hide or display the items stored on the shelves, transforming a TV unit into a contemporary shelving unit instantly.